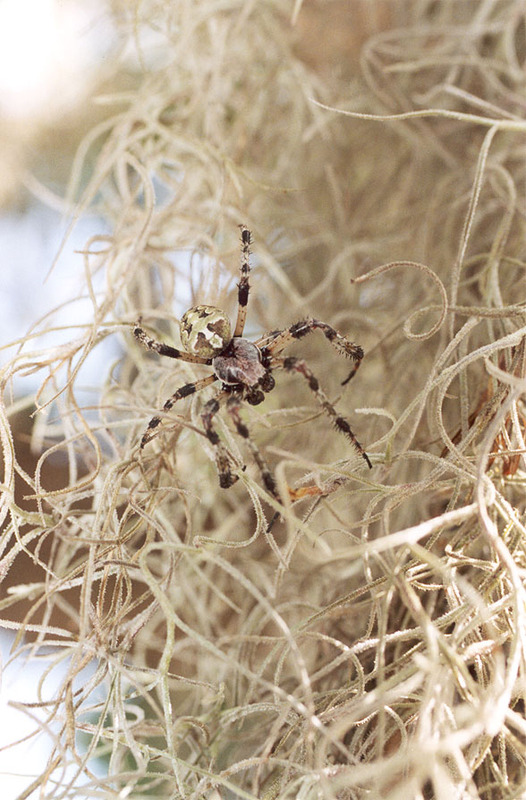 Araneus bicentenarius - This giant lichen orbweaver was found climbing up its web one mid-morning. 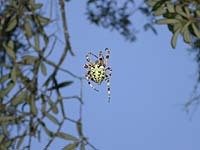 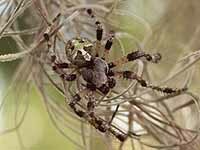 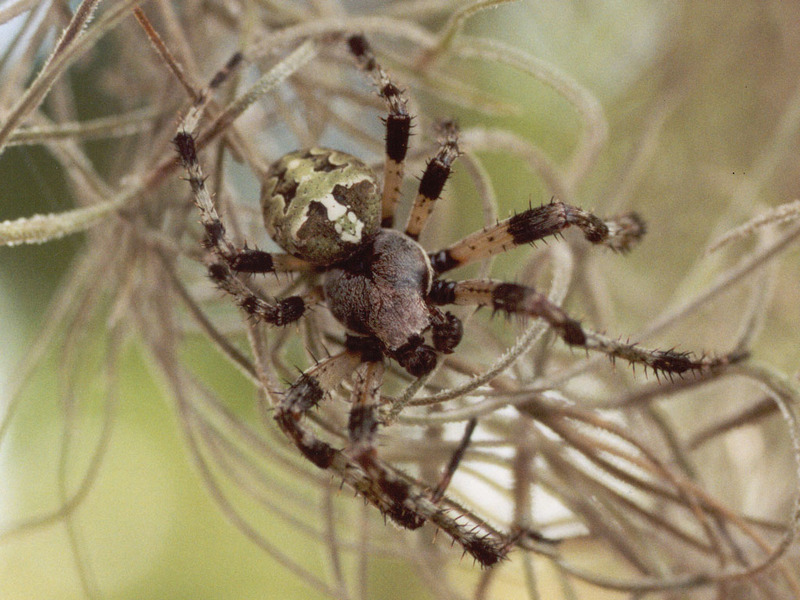 Like many orbweaving spiders at rest, this spider would normally be hanging face-down near the center of its web. 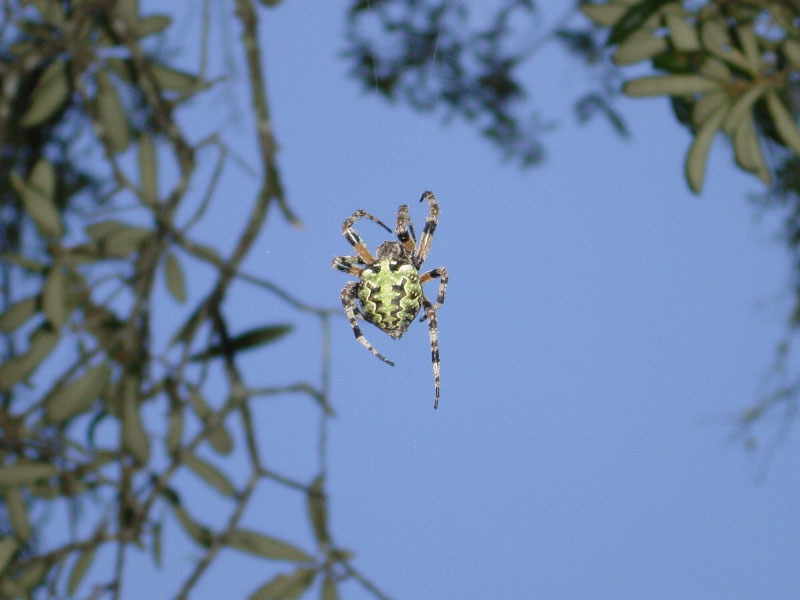 The spider was located in a rural area about 7 miles west of St. Augustine, St. Johns County, Section 1, Township 7 South, Range 28 East; north of County Road 208.